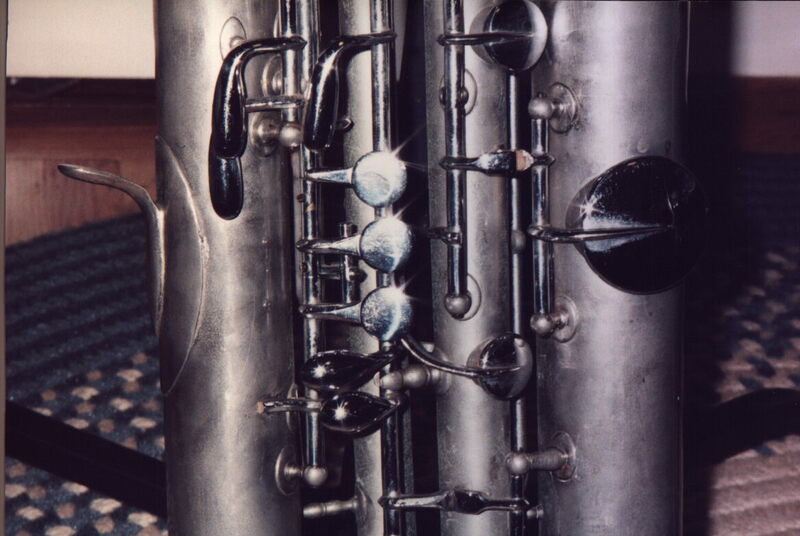 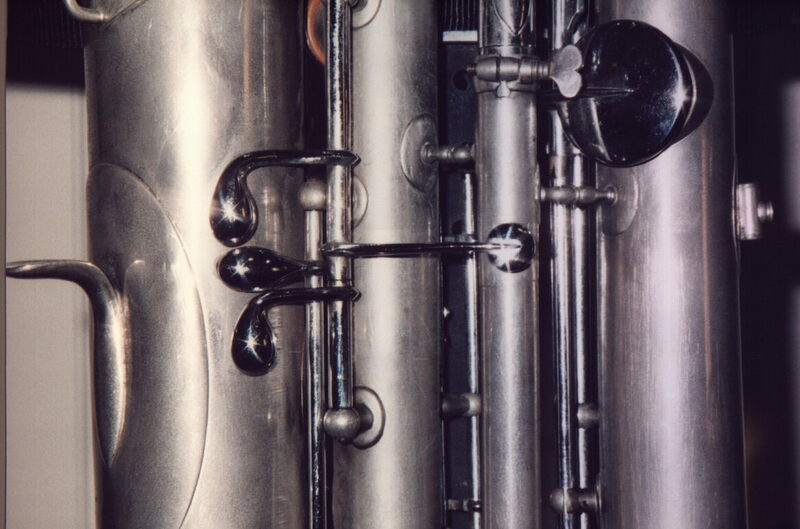 By popular request, here are a few larger pictures of the Eb contrabass sarrusophone, with detail shots. 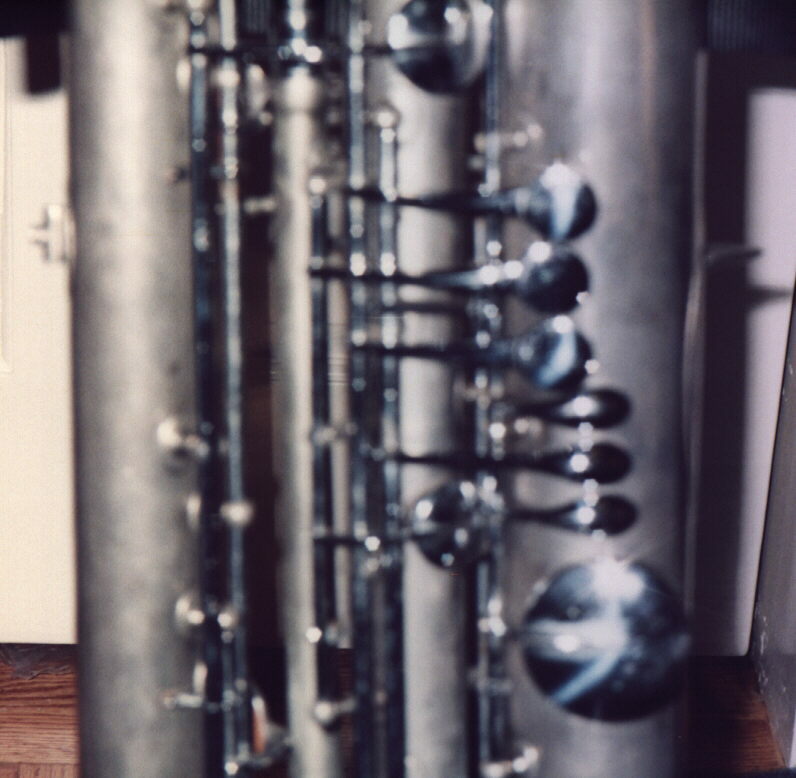 The 3/4 views were shot in front of a standard classical guitar, for scale. 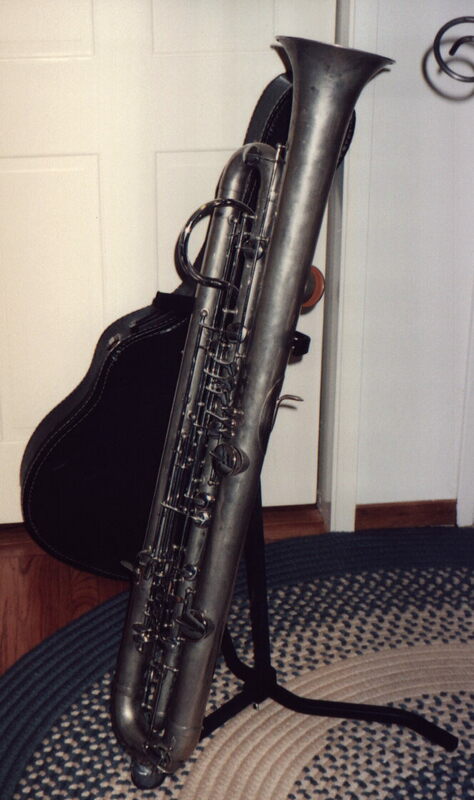 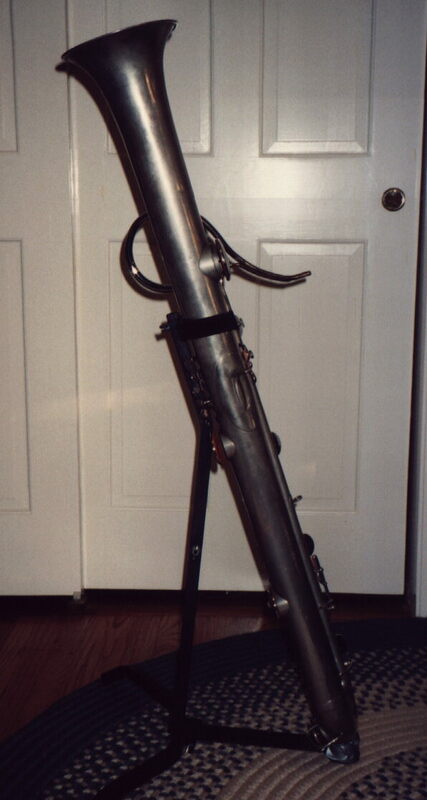 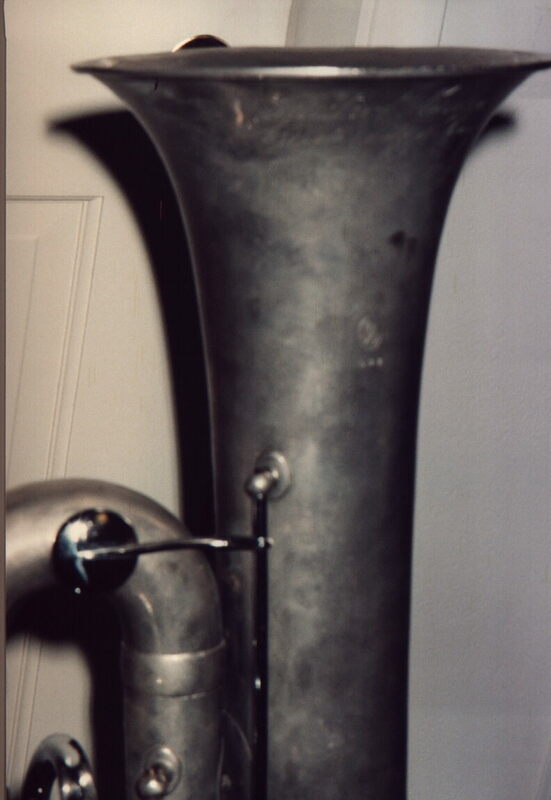 The stand in the pictures is a Fox contrabassoon stand, slightly modified to protect the bottom of the sarrusophone. 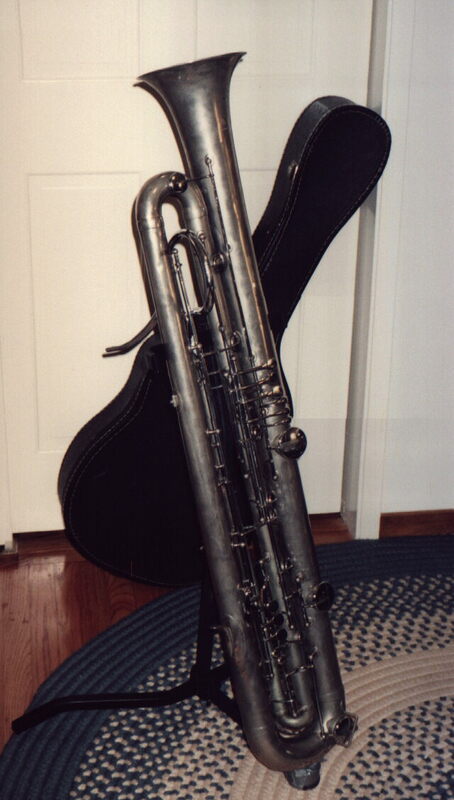 The Fox stand is made for a contrabassoon having a substantial peg on the bottom. 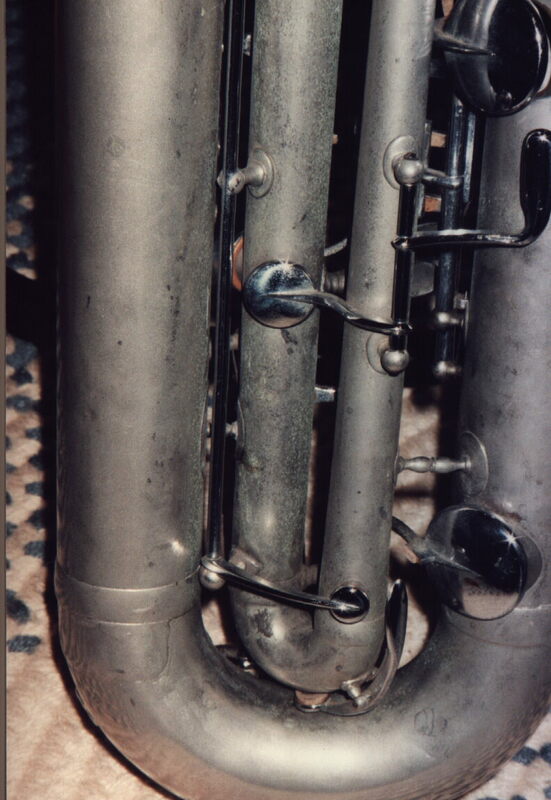 The sarrusophone has only a small metal knob, so I've modified the peg cup by inserting (and taping in place) a short length of foam tubing to protect the bottom of the instrument. 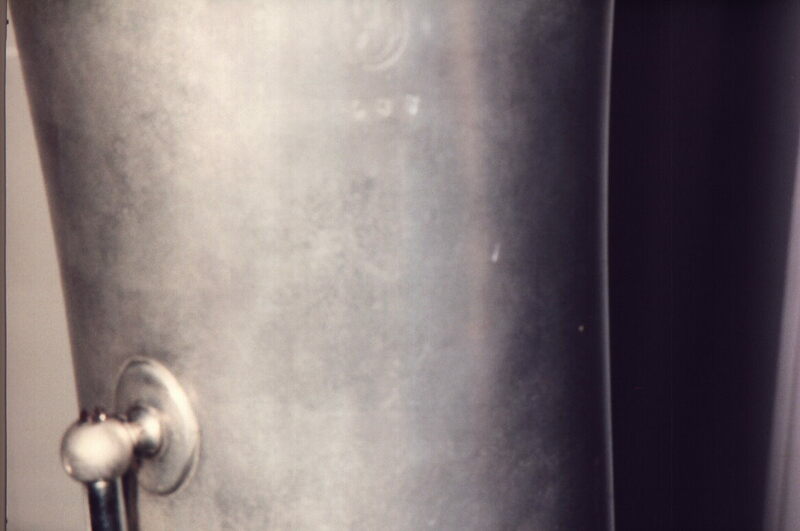 Apart from the peg cup, the stand functions well, and is superior to everything else I've seen.